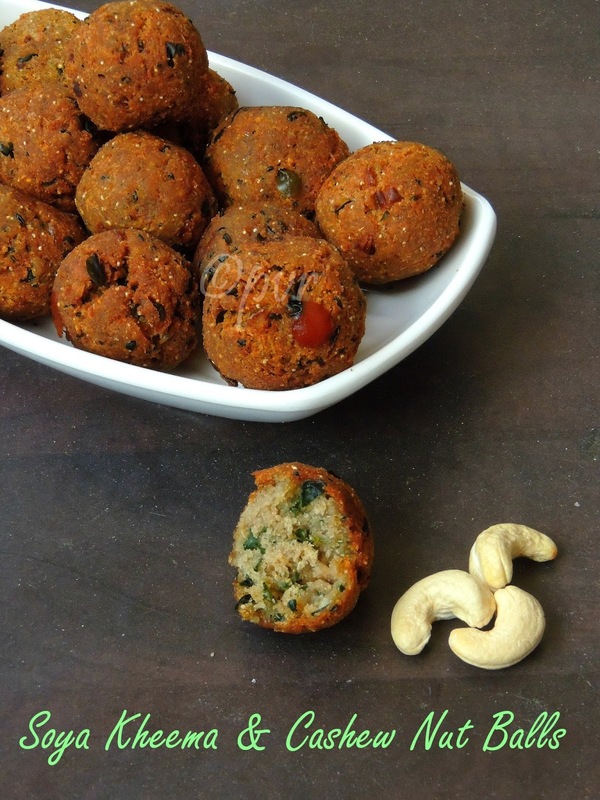 Soya kheema cashew nut fritters or soya kheema cashew nut balls, these crispy outer and soft inside balls are dangerously addictive. These balls goes for easy ingredients and very simple to do. This vegetarian soya nuggets balls makes an excellent starter or appetizer when served along with sweet chilly sauce or simply with ketchup.This kola urundai aka crispy balls is a very interesting way to include soya nuggets in our diet.Usually i make these balls with vegetables but this time i opted for soya nuggets and cashew nuts. 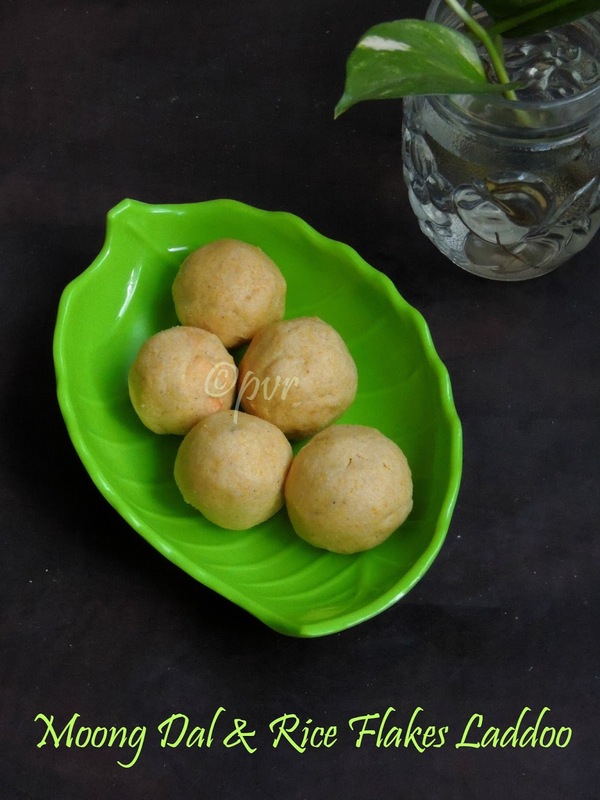 Both works awesome in these fritters, not to forget that you can serve this balls as side dish with one pot meal like pulao or biriyani.Sending to Kalyani's Monsoon Mojo Event..
Cashew nut kheer is a very rich, creamy and tremendously nutty kheer one can prepare easily to surprise everyone at home. We usually make Badam/Almond kheer, vermicelli kheer,sago kheer etc, but trust me this cashew nut kheer will definitely beat all those kheers. A grounded cashew nut paste is the main ingredient for making this lipsmacking kheer, slowly cooked in whole milk with sugar and saffron gives this alluring,super rich khaju kheer. A fabulous kheer to give a try especially during festival times or else simply to serve after a feast. However this rich kheer makes an excellent summer drink too. 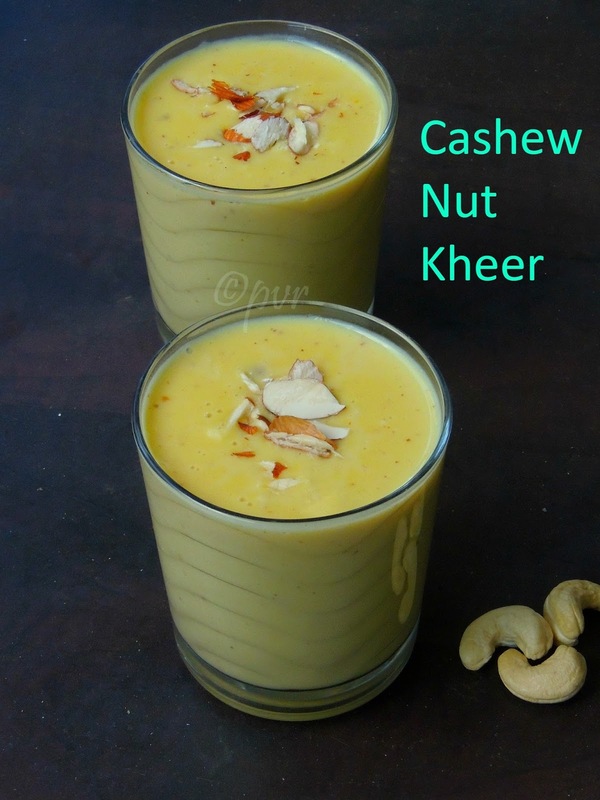 When served chilled, one can drink a gallon of this cashew kheer without any guilt. Give a try to this different kheer and please everyone at home. We make two version of mango rice, one version is to mix the cooked rice with grated raw mango and the another version is cooked rice mixed along with raw mango paste and then seasoned. Obviously for the second version,the seasoning plays an important role while in the first version, the grated raw mango itself plays a fabulous role. Tangy raw mango will works out wonder for making this mango rice. I usually add the peanuts in the tempering and the addition of peanuts gives a fabulous taste to this rice but this time, i couldnt resist to add some cashew nuts while tempering. 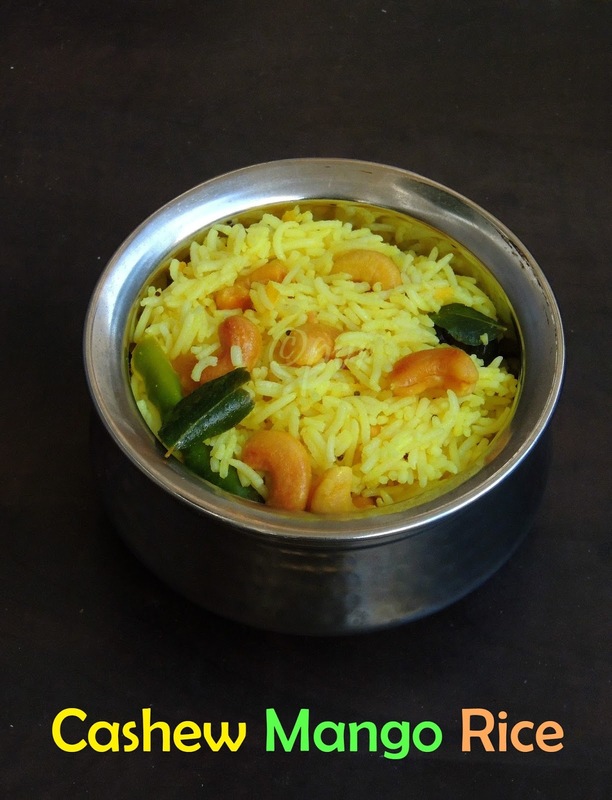 These crunchy nuts gives an incredible texture to this tangy mango rice.This raw mango cashew rice is cooked with grated raw mango, obviously the tanginess for this rice comes from the raw mango and there is no need to add lemon juice in this rice. Its been a while i bought some thick red rice flakes for making upma with it, but none at home want to have upma hence a packet of red rice flakes was sitting in my pantry. Eventhough the expiry date is not near by, i couldnt resist to give a try to this simple,quick and very addictive crispy munchies. A prefect evening snacks to munch with a cup of tea or coffee, if you make this quick mixture you cant stop munching these deep fried beauties. 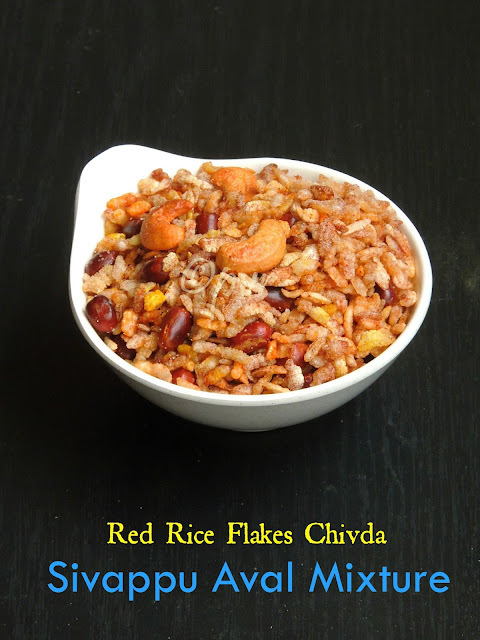 I didnt add anything apart from peanuts and cashewnuts to bring the nuttiness to this simple chivda aka mixture. If you want to add more than the nuts just go on. Since i dont want to spend more hours in my kitchen, i just dished out this simple chivda.Sending to Kalyani's Monsoon Mojo Event..
Finger chips are Indianised version of French fries,these thinly sliced potato fingers are my favourite deep fried munchies. My mom makes these finger chips quite often to serve us along with rice and dals. 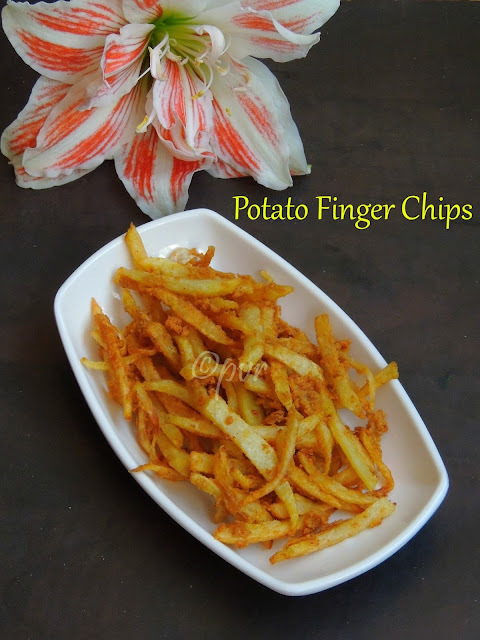 Finger chips can also been eaten for snacks, however these fried potato fingers are very easy, quick to make, simple and definitely very crispy to munch. There are many varieties of finger chips exists, but my today's post is my mom's signature finger chips. Potatoes when sliced thinly like fingers, tossed with a mixture of gram flour, rice flour and usual spices makes these crispy finger chips. Many makes them simply by deepfrying potato fingers and spice them later with just pepper powder and salt, but my version is completely different and these finger chips tastes ultimately delicious when compared to the simple deep fried version. Sending to Kalyani's Monsoon Mojo Event..
Zucchini, this zero calorie vegetable is one of my most favourite vegetable since ever i tried many dishes out of it. These vegetables are very cheaper than our Indian vegetables here, obviously i do try different dishes from our Indian cuisine. I have tried many dishes out of this zucchini, every dishes i have already tried with this vegetables never went wrong. From cake to pickle, you can dish out anything with this versatile vegetable. 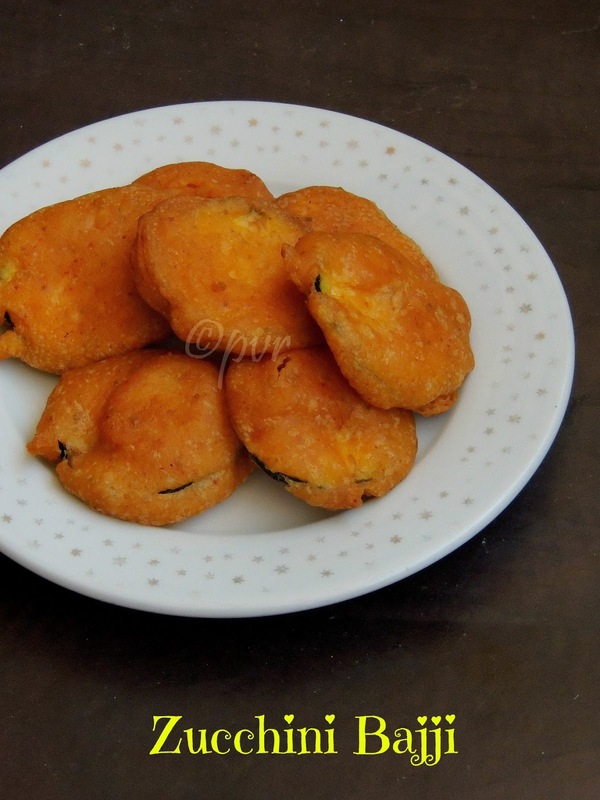 I always want to make some bhaji aka pakoras with this zero calorie vegetable and finally i made these beauties few days back for our evening snacks. Served with a spicy coconut chutney, trust me these bhaji tastes simply out of the world.Sending to Kalyani's Monsoon Mojo Event..
One of the easiest dish you can dish out quickly is this semiya pulao aka vermicelli pulao, if you have all the ingredients at home, you can prepare this easy breezy one pot meal within less time. 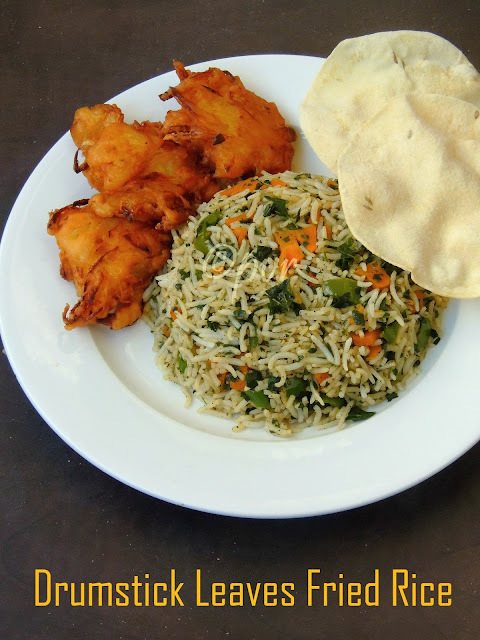 This pulao makes an excellent lunch if served along with some deep fried beauties and raita. A quick dish to prepare and pack earlier in the morning to carry for lunch. Semiya aka vermicelli are really handy, they are as much as like semolina aka rava. If you have a packet of vermicelli at home, you can dish out couple of delicious,simple and quick dishes out of it. Obviously vermicelli is a life saver. From a simple starter to a delicious kheer, you can make different dishes out of them. 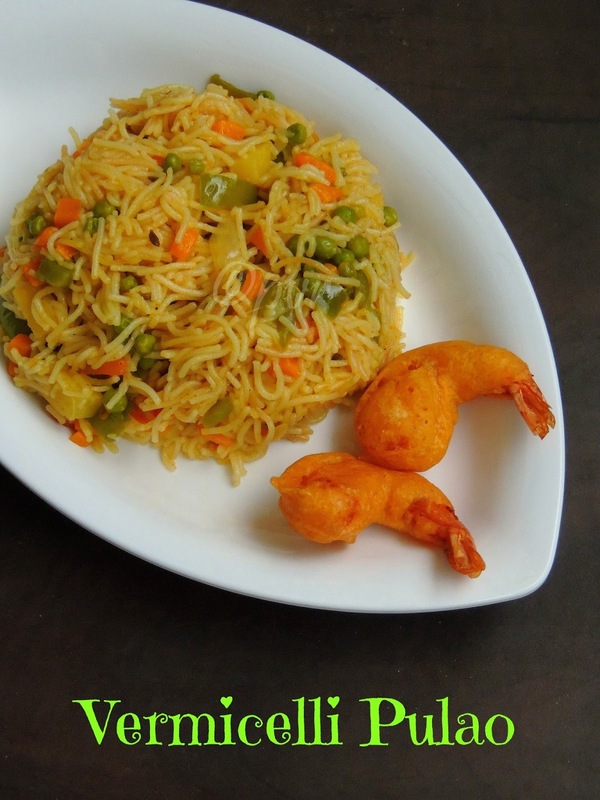 My today's post is an excellent pulao with couple of vegetables and vermicelli. Actually i was planning to make a semiya upma with vegetables for our dinner, but i skipped it as we went out for dinner. The next day without any fail, i dished out this pulao for our lunch. Here is Paris, we dont get varieties of Indian greens, drumstick leaves is one of the easiest Indian greens we can see often in Indian groceries, obviously whenever i go to Indian grocey i dont forget to pick a packet of this greens. Back home, i usually clean and freeze them for further use. But this time i got only a small packet of this green. Obviously i opted for an easy dish, actually i want to make a one pot meal with that small quantity of drumstick leaves. Finally i decided to go with this easy breezy fried rice with simple ingredients especially with drumstick leaves which i dont want to freeze. This rice dish gets ready very easy and anyone can carry this fried rice in their lunch box without any fuss. My space shares varieties of rasams and you can find different and unique rasams here. To that incredible collection of rasams, am adding one more rasam which may become your regular dish to enjoy with some hot steaming rice. Barley is an incredible wholegrain and we can make super nutritious dishes out this grain, but some how South Indians makes dishes out this barley very rarely. Actually i get barley easily in chinese stores, hence i do add quite often in our diet. 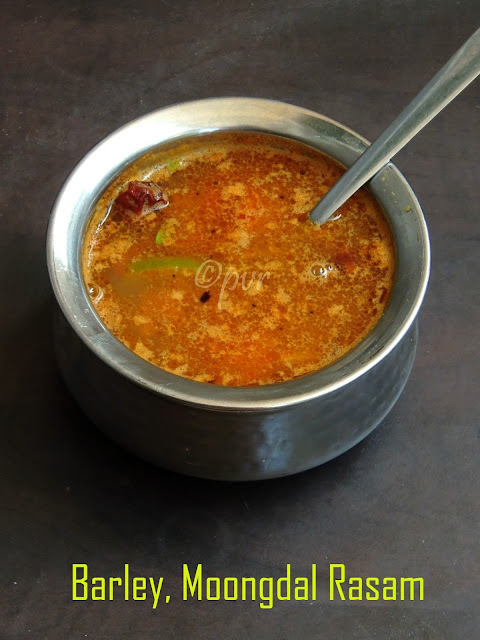 I have already tried many South Indian breakfast dishes with barley and for a change i tried my hands with barley for making this lip smacking rasam. 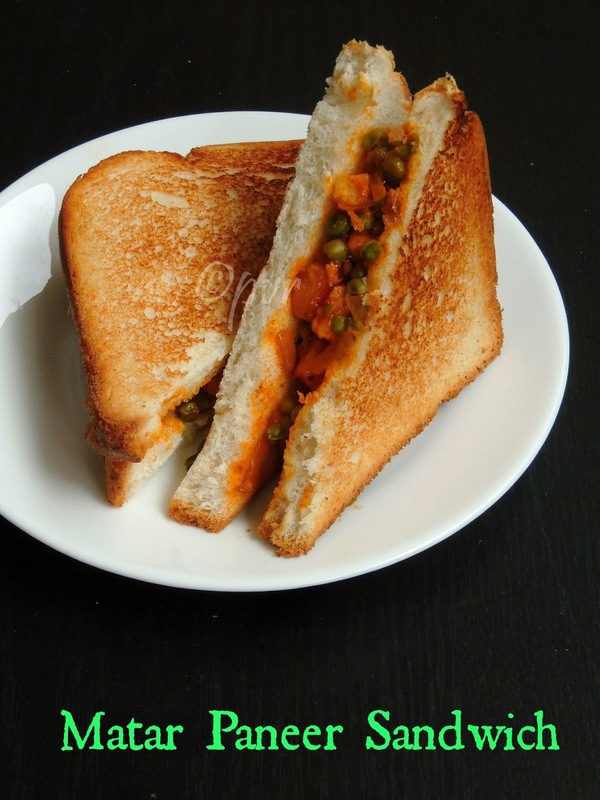 If you are searching for a new roti or paratha stuffed with something nutritious, am sure this dish will definitely gives you some idea. Yes this paratha aka roti is made with usual paratha dough but the stuffing i prepared for making these parathas was quite a different one from the usual stuffing. 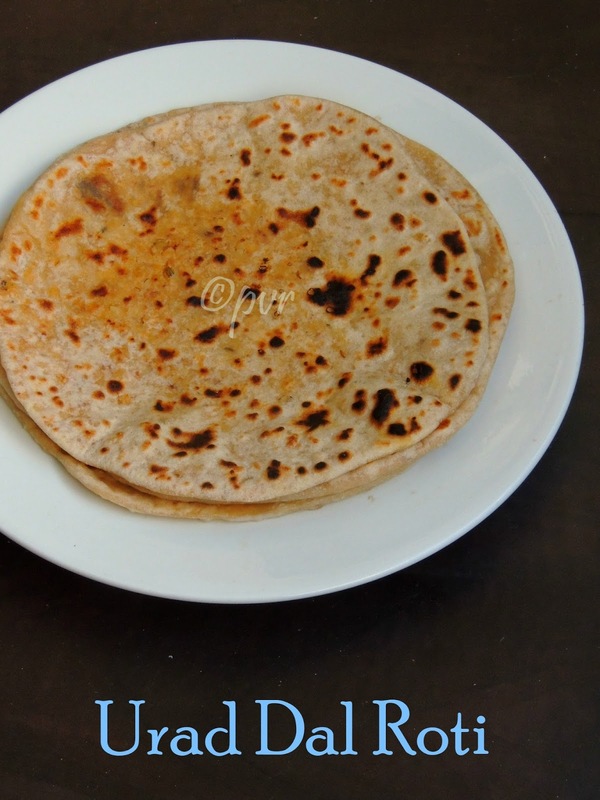 I stuffed this parathas with spicy urad dal filling. This paratha came out absolutely fabulous and the interesting part is these parathas are nutritious and filling at the same time. A different paratha from the usual parathas, am sure if you give a try to this paratha, you will surely make this paratha often. Since i prepared a spicy urad dal filling, you doesnt even need to serve this parathas with a side dish. Quick and easy laddoos, they have their own place in my Diwali sweets. Most of the time during Indian festivals, we dont have that much time to prepare sweets and savouries, obviously i'll always stick with quick dal based laddoos. They are damn easy to make and need less ingredients when compared to the boondi laddoos we usually makein big batches. My all time favourite laddoo is one of the famous Andhra special laddoos called Sunnundalu, prepared with dehusked black gram dal. My aunt makes excellent sunnundalu, everytime i go to Hyderabad she never fails to prepare this laddoos and pack them specially for me. My today's post goes to a dal based sweet, but my version is with yellow moong dal and rice flakes.